The bimetal thermometer model A46 is mainly used in the heating, air-conditioning and refrigeration equipment to monitor the process temperature. 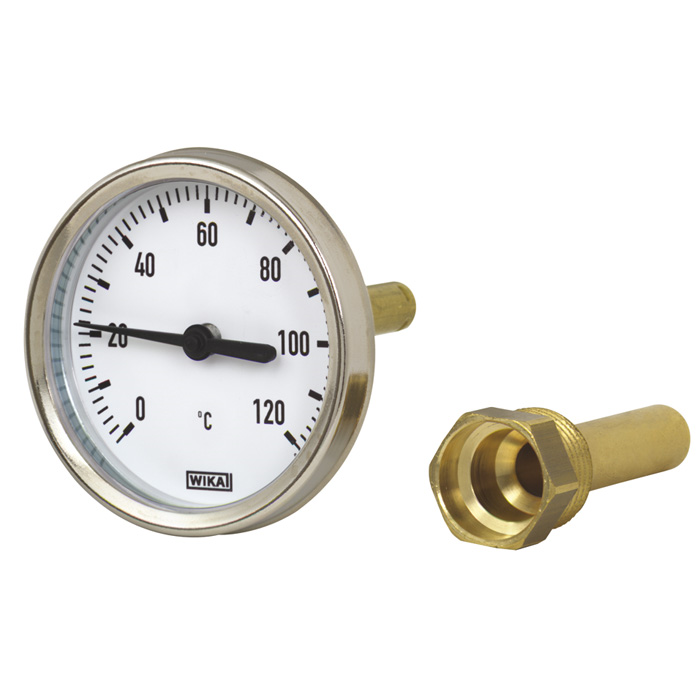 The bimetal thermometers are screwed with thermowells in the respective application. On the one hand, this protects the instrument, on the other hand, the measuring instrument can be exchanged without prior emptying of the heating circuit.